Hello! Welcome to my little corner of the internet. 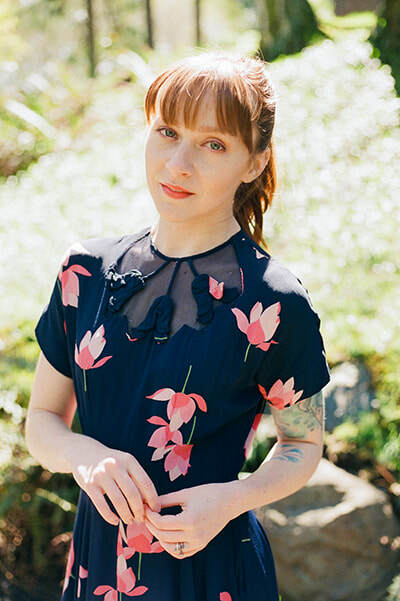 I created this blog to share my loves and passions which include (but aren't limited to) fashion, lingerie, clothing design, embroidery, and anything involving flowers. I was raised in Austin, TX and at the beginning of 2018 relocated to Seattle, WA with my husband who is from Paris and our two fur babies. We instantly fell in love with the beauty of the PNW! In the near-ish future however, we intend to relocate back to France. Nos cœurs sont en France! For as long as I can remember I've always had a passion for fashion & lingerie. The way we dress ourselves is a true form of expression - and we can be whoever we want to be in this world. As for lingerie, the delicateness of silks and lace mixed with the powerful sense of confidence a woman (and myself) gets when wearing these pieces is what I love most. My dream is to have my own bespoke lingerie line. While all of this makes me sound super serious, I'm actually a huge dork. I hope you enjoy what I create and can be a source of inspiration! And I hope I can make you smile... at least a little.